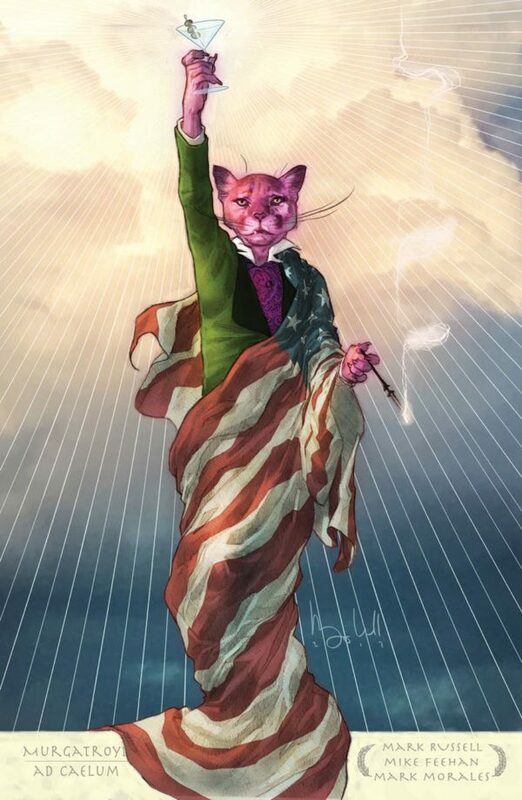 Three days into the new year and leave it to DC to publish the most socially relevant comic book in months and it stars, of all things, Snagglepuss. You remember Snagglepuss, the pink mountain lion with a lisp introduced in Hanna Barbara cartoons way back in 1959? The character who was nobodies favorite? Ringing a bell? Being reborn as a gay Tennessee Williams playwright in the 1950’s during the height of the communist scare, it is a small leap of faith to picture the events happening under the current administration and that gives the story an bit of extra weight. Truly, this story would not have resonated as strongly during the Obama years. 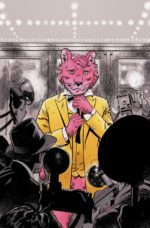 Keeping his sexuality hidden in an era where the revelation could ruin him, Snagglepuss keeps a beautiful wife on his arm in public to keep up appearances but lives a completely separate life in private. Unfortunately for him, the government is in the middle of their House Committee on Un-American Activities investigation into the Soviet Unions infiltration of Hollywood and government officials are looking to take down any and all “undesirables” including him. It sounds overly politically heavy handed but it is not, it is in fact a story with a lot of heart and a lot of soul. 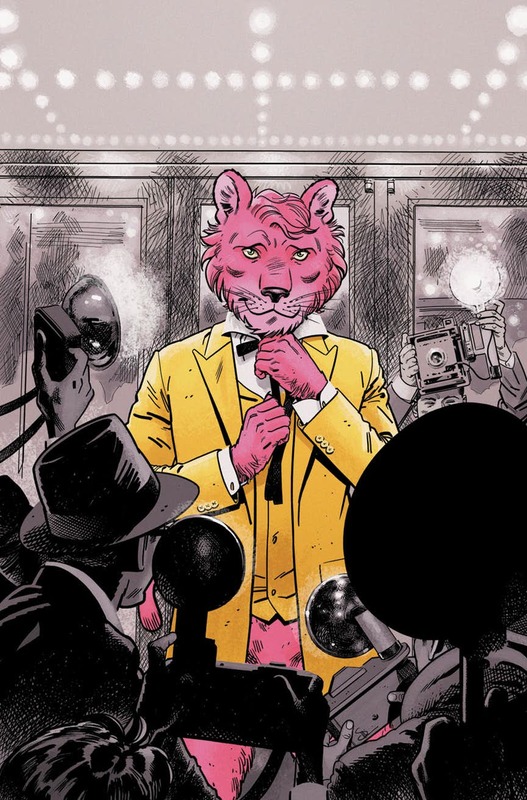 I mean, the book makes Snagglepuss sympathetic, tragic and, most importantly, interesting. How this book ever made it off of the drawing table is beyond me but DC has had great success “rebooting” their cartoon properties like the Flintstones, Jetsons and Scooby-Doo. No matter how terrible many of their super-hero titles have become since the dreadful “New 52” relaunch happened, they are finding great narrative and creative success on their other lesser titles. Drop one of the fifteen Batman titles they currently publish and pick up one of their other titles, you may be pleasantly surprised.